From eco-friendly to fair trade to earth-loving, these are must-haves for your sustainable honeymoon adventure. 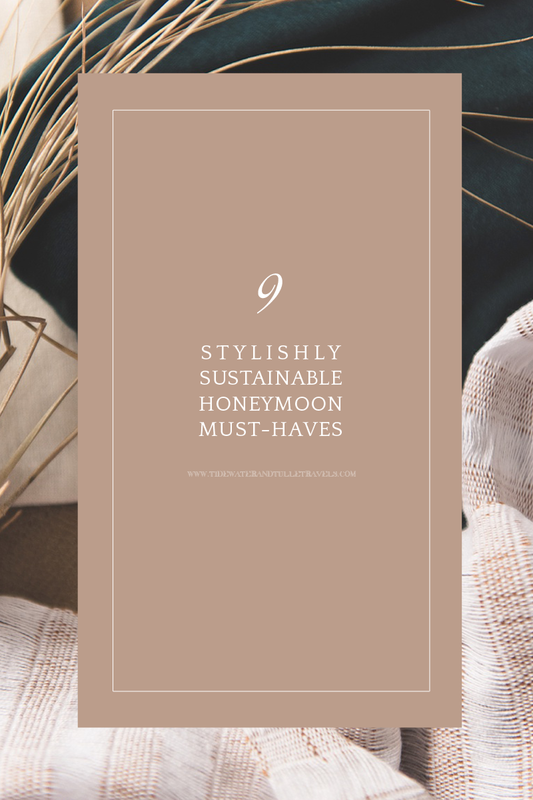 nspired by earthy colors and global style, we are all about giving back to the planet in this curated collection of eco-friendly honeymoon must haves to bring along with you as you travel to your sustainable resort! As we as a global community become more knowledgeable about climate change, cultural dynamics, and carbon footprints, we believe that we should be conscious with how we adventure, especially if our explorations take us to the big blue ocean ecosystem that is sadly disappearing every day. Because travel is such an incredible experience, by supporting responsible beauty, fashion, and tourism-related businesses you know they're doing their part so you can do yours! 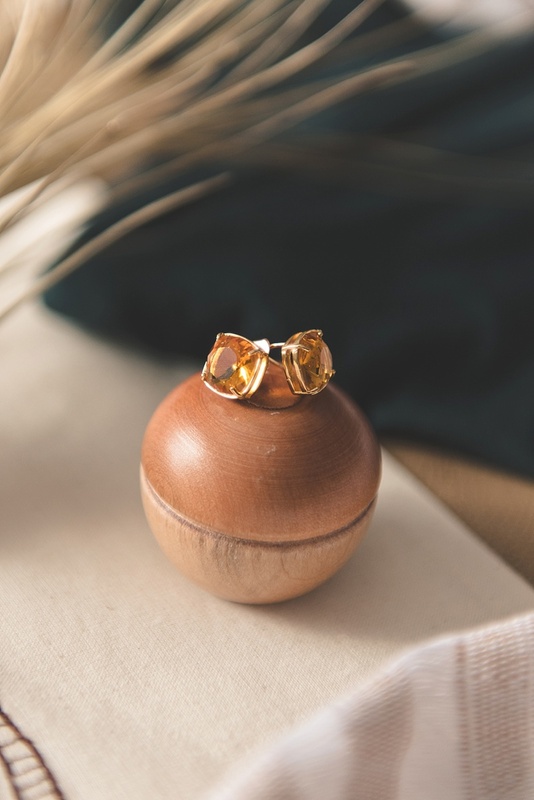 The ecotourism movement is only going to help us and our future generations have the best happily ever afters we dream of, so to start if off, we're sharing our favorites when it comes to maximum style and ethical impact. 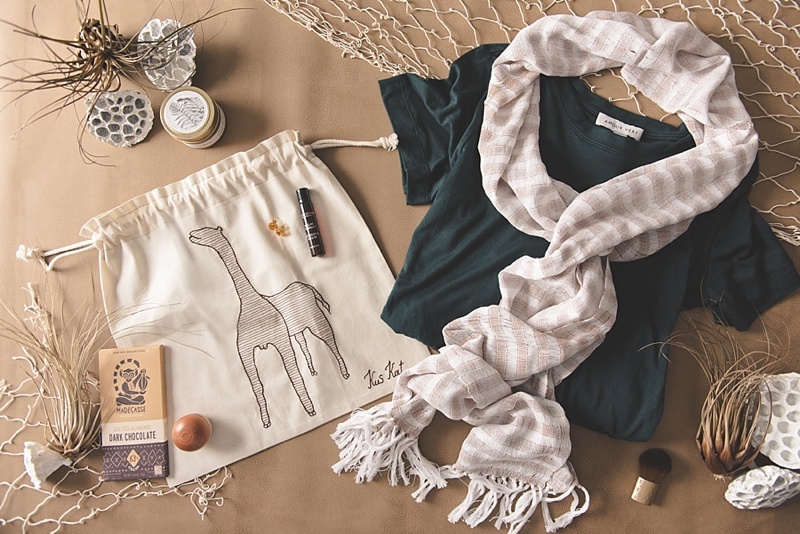 With a heart for master craftsmanship and a membership to Fair Trade Federation, The Fair Line designs globally-inspired goodies and produces them with the help of their shop members in Guatemala who earn a fair income so they can care for their families. When you see this beautifully handwoven scarf, you can imagine its being created on the loom, and it makes you appreciate the timeless tradition of weaving. Take your Something Old (in Art Form) with you while you vacay! 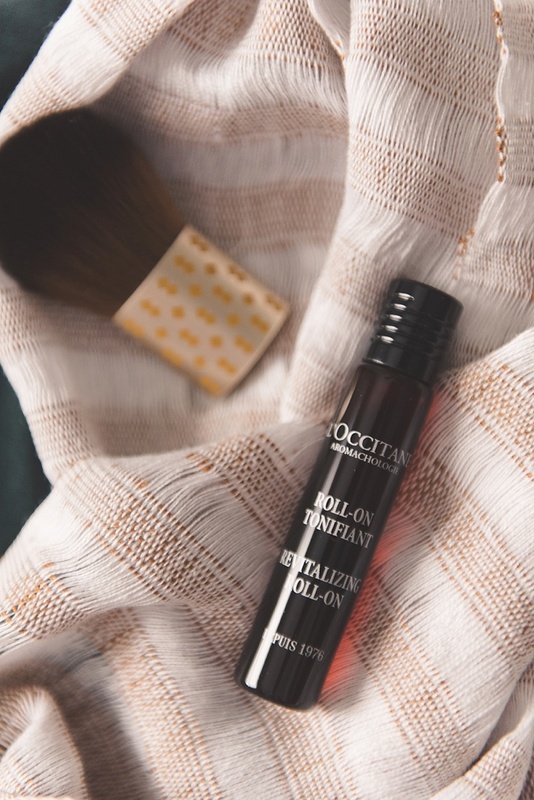 Since their inception over 30 years ago, L'Occitane has been involved in social action. From their fight against avoidable blindness and intentionally placing braille on most of their packaging to committing to women's leadership and economic emancipation in Burkina Faso, there's a whole lot of responsible heart behind this brand. Nature is their number one inspiration, and even though they are a larger global company, they are dedicated to sustainable development through natural plant oils versus mineral oils. With the popularity of essential oils and their daily applications, every little dab counts when it comes in contact with your skin! When "eco" is in a company's brand name, there's a really good chance they have something going on with the environment. Bringing earth love to the beauty world, EcoTools' makeup brushes are made from recycled aluminum and packaged in 100% tree-free paper. 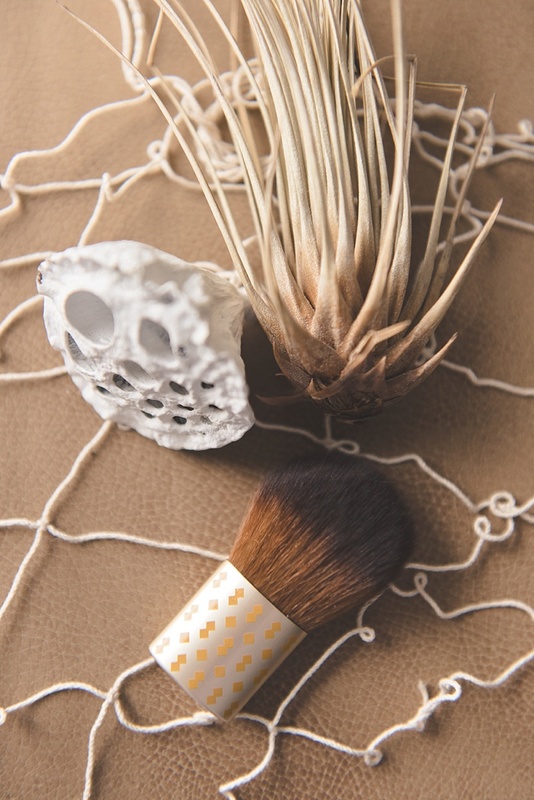 This little safari-inspired kabuki brush is one of the softest brushes we've come across, so it's also good to know that EcoTools is 100% cruelty free and vegan when it freshens up your face after a long day outside. Since perfumes have the potential to get broken in our luggage, we love taking it back to the Ancient Egyptian times when perfumes were solid, packable, and oh so entrancing. 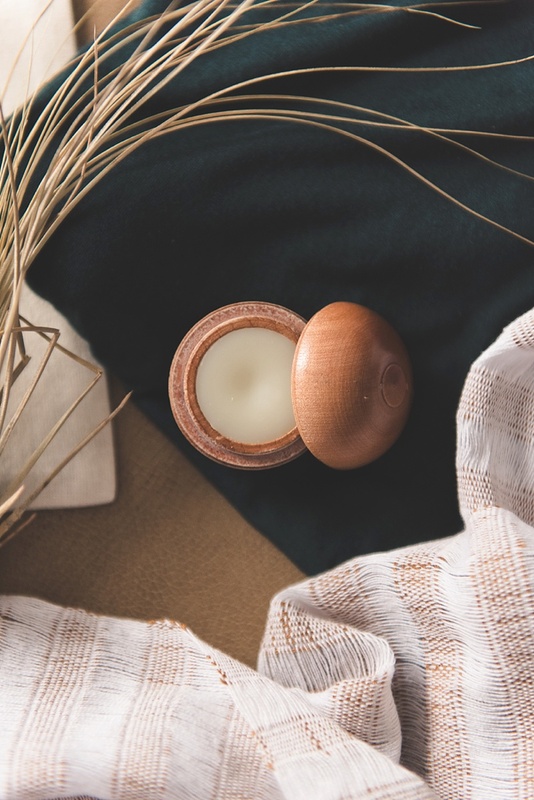 Made into small wooden pots sourced from certified sustainable New Zealand forests, these animal- and cruelty-free fresh scents by Pacific Perfumes is the perfect little eco-addition to your purse. It's even TSA-friendly! 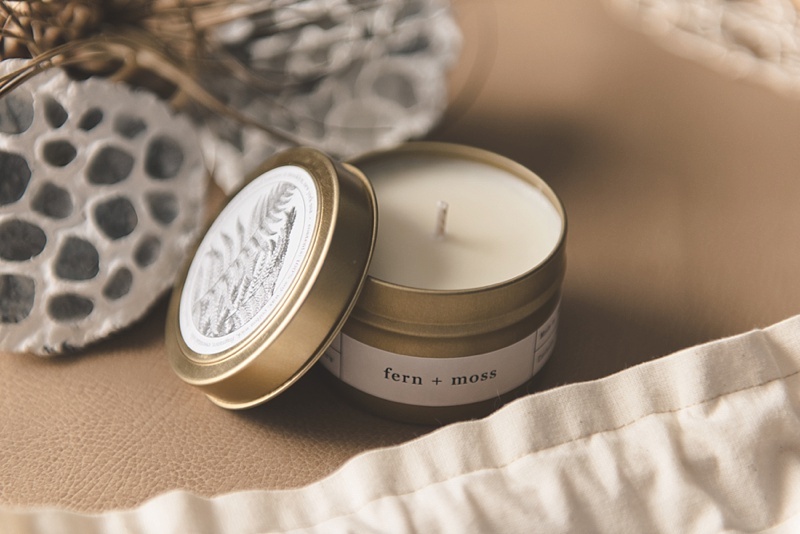 We particularly loved this Forest of the Ferns scent that is blended with lime, bergamot, and basil because it was light and not too musky -- perfect for any guy or gal. With a mission to make chocolate entirely in Madagascar by using heirloom chocolate (Earth's original cocoa variety! ), this yummy treat is also yummy for global impact. 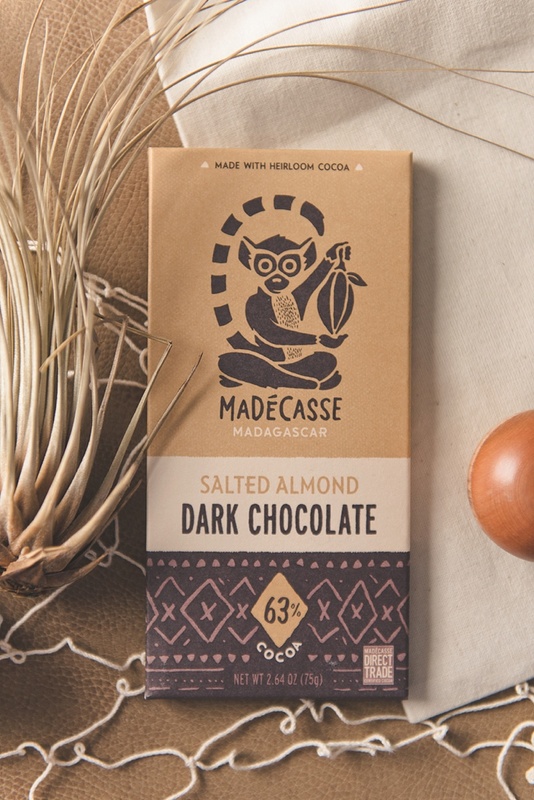 Madécasse's approach to chocolate making is direct trade which means they work directly with the farmers, share their lives together, and partner together to satisfy all of our sweet teeth. In our editor-in-chief Chelsea's husband's own words, "This is seriously the softest shirt ever. Please wear it all the time!" 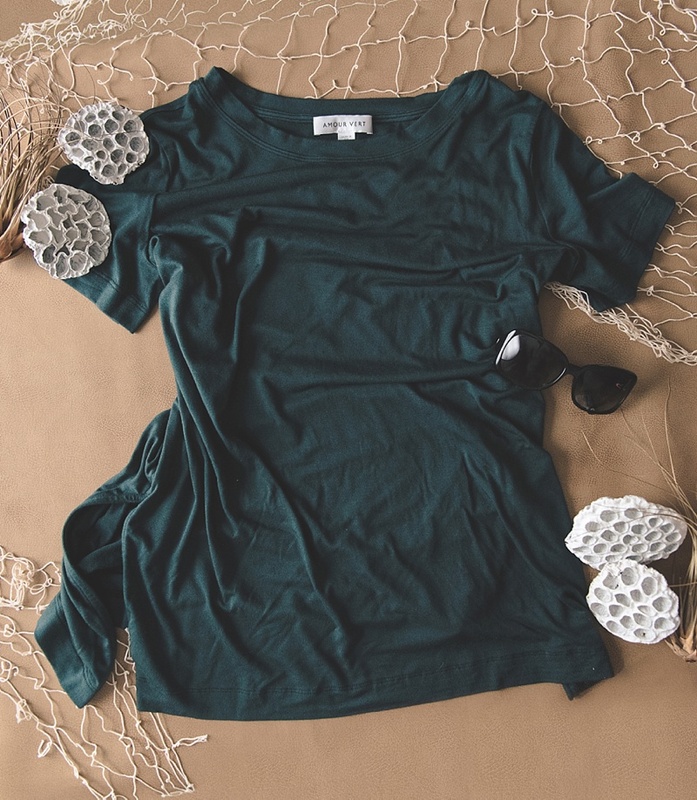 But it's not just the most comfy chic tee you'll sport while traveling, it's also made by a company deeply committed to sustainable business practices, ethical products, and positive environmental impact. 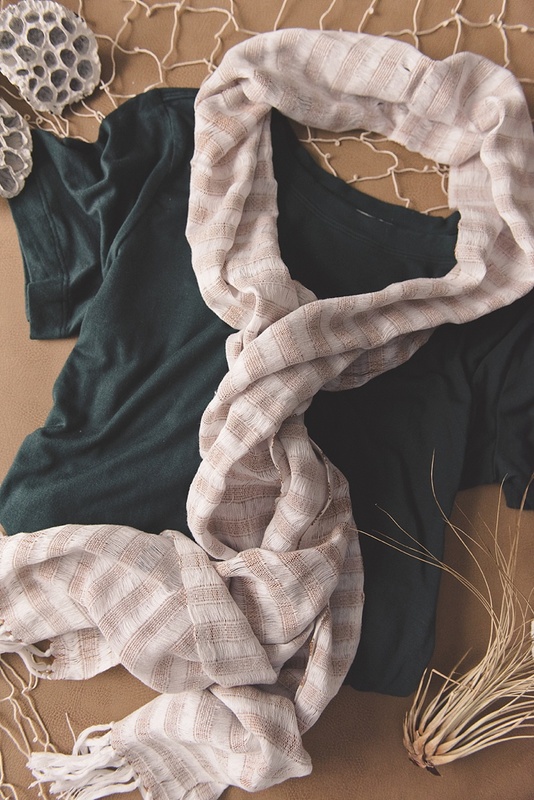 Amour Vert (aptly translated as "Green Love") is all about a zero-waste philosophy and only uses low-impact dyes. And as if that weren't enough, buying this tee plants a tree in North America! Literally. Amour Vert partners with American Forests to make this happen. We think that can totally justify a big rainbow closet of the softest shirts ever.